Today Paul Garcia showed up with his demo army of ten guys. 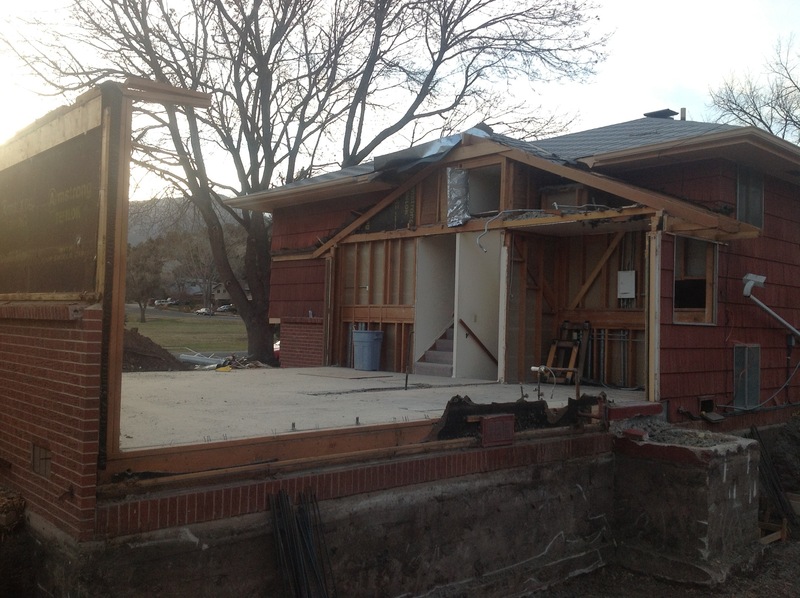 In a few short hours the living room ceiling and walls were removed to make way for the new framing. Those guys don’t mess around. 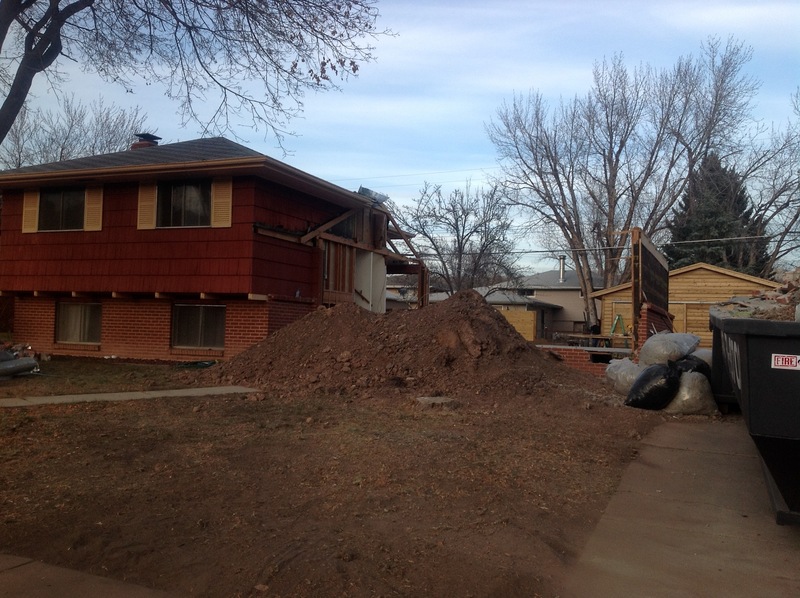 In order to add the master bedroom and bathroom above the living area, add the kitchen addition out back, and reframe the front wall of the house to accomodate the front patio living area, we had to remove the roof and walls. 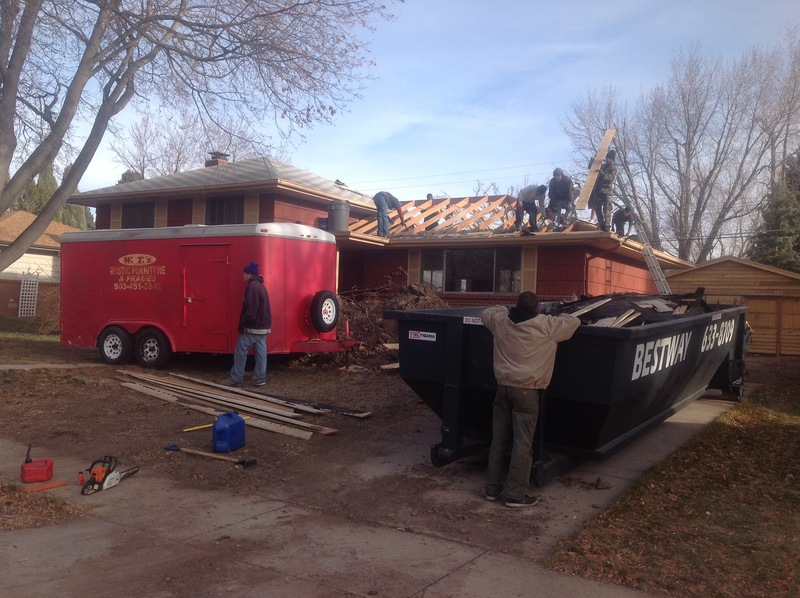 Paul’s crew did a great job, safely, and left the site clean and ready for the carpenters to start framing on Monday. If you need a small army to get something done, hit me up for Paul’s contact info.